Pacon Fadeless Paper Roll, 50lb, 48" x 50ft, Flame - Options are limitless with Fadeless Paper. Bold, vibrant colors and acid-free qualities make it last for long periods of time, and its durable construction makes it suitable for many arts and crafts projects. High-quality, bulletin board paper is color-coated on one side and is white on the other side to produce exceptionally rich, vibrant colors. Fadeless paper easily accepts and retains most art media. It is strong for folding, cuts cleanly and won't crack. 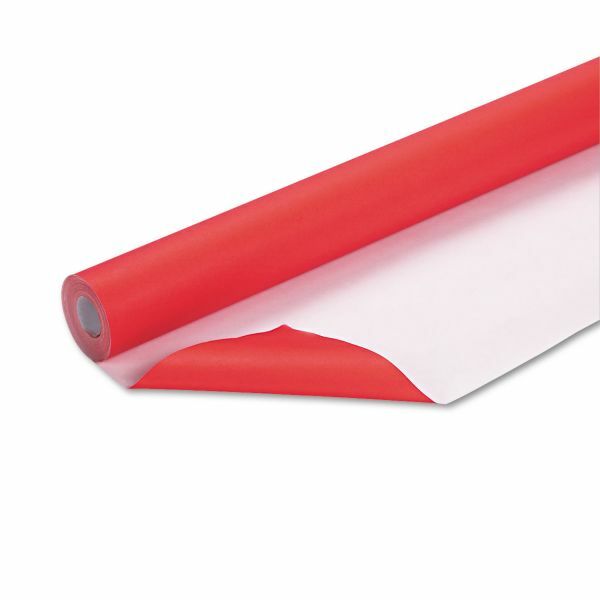 Recyclable paper on convenient rolls is perfect for school, home and office projects.